Thank you for standing with us in prayer and your giving. We thank God for you for holding our hands up as we do the work of our Lord. God is truly awakening young people to be His hands and feet. Recently, a dedicated group of young person’s serving with Campus Crusade St Vincent spent 10 purposeful days with us at the YWAM base. The team felt the direction of the Holy Spirit to establish a CRU ministry at the Sir Arthur Lewis Community College hopefully more laborers in the field - Alleluia!!! 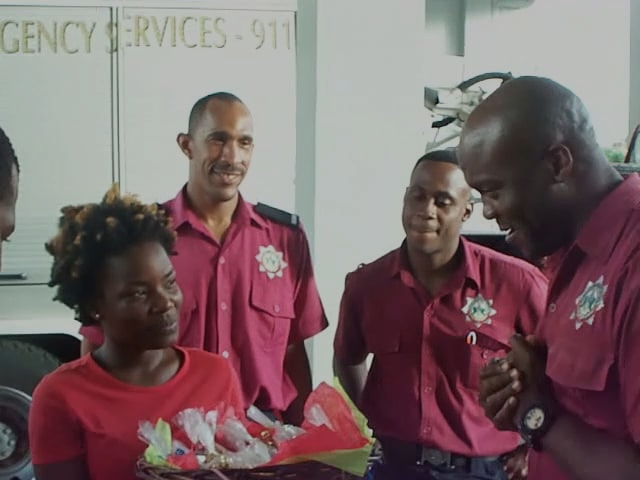 We also received a team from Barbados called “Uplift International”. The team came to share their vision with various individuals who will be interested in taking a short term missions trip to Malawi to use their gifts to serve others in that nation. Also, a team of about 70 persons from a cruise-ship spent one day in Castries training believers how to share their faith, distributing bibles and praying for various persons the Lord would put along their path. 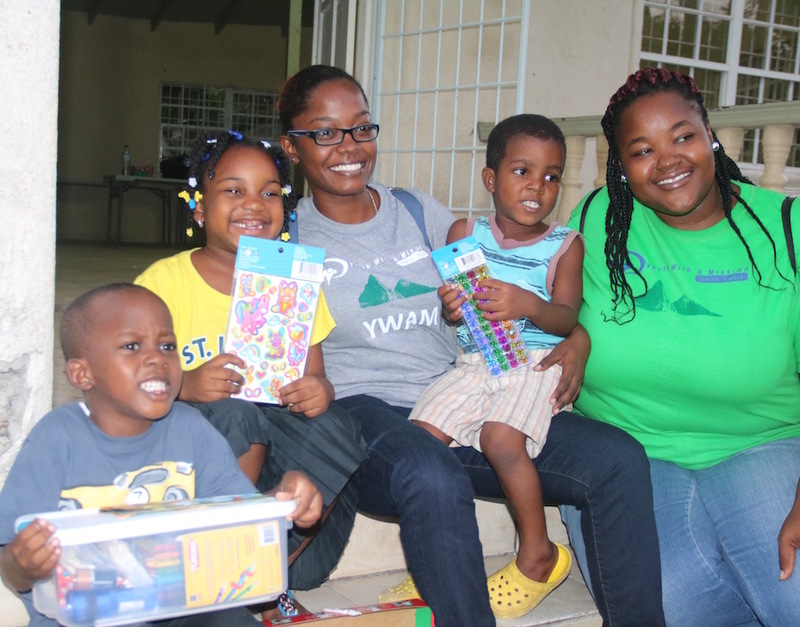 We continue to support the children of Bois Patat near Castries. 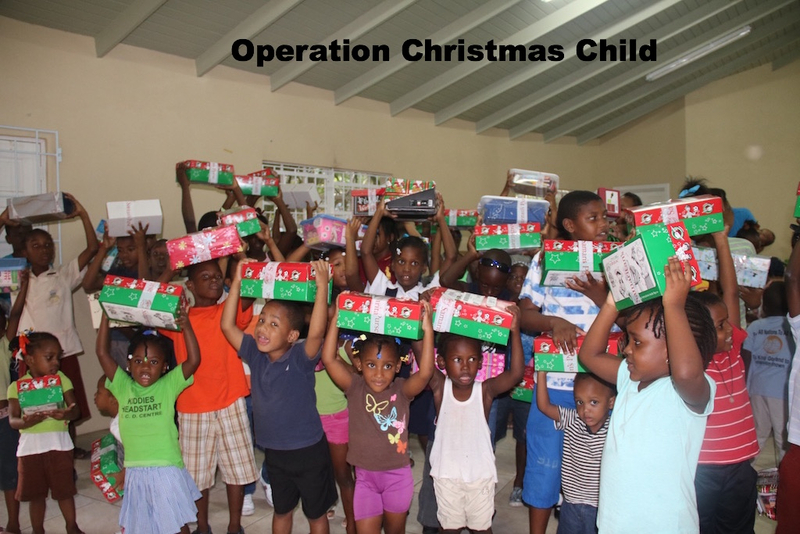 We just received 150 shoes boxes with gift items, toys from Operation Christmas Child - a Samaritan's Purse Ministry and are distributing and planing to follow up with the “Greatest Journey” Discipleship program for children. For three days the YWAM base turned into a bakery. We baked homemade cookies to distribute to share the love of Christ during the season. 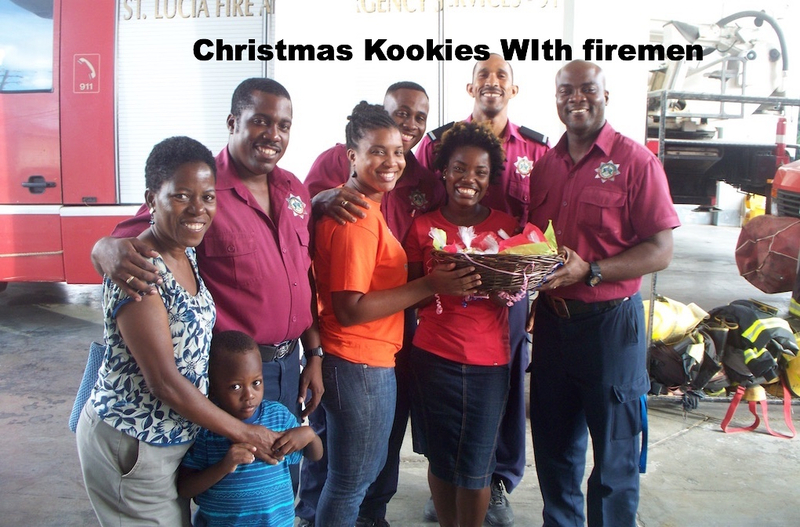 Overall 500 cookies were baked and 200 packages were distributed to the police station, bus drivers on the bus route, rehabilitation center for boys, homeless shelter, orphanage and the fire service department. We had a blast distributing the cookies. We even got to see a fireman climb down the poll. Asaph got a chance to use the fire hose. 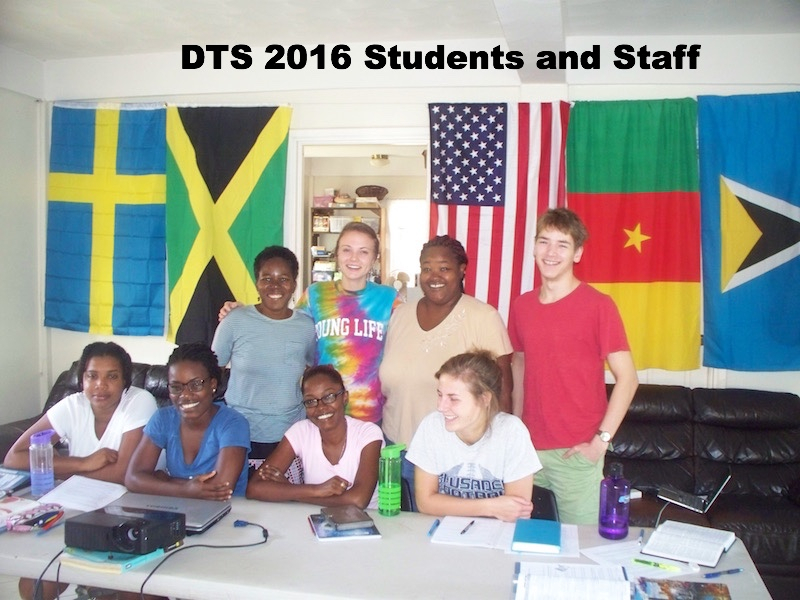 Our 4th DTS in Saint Lucia is now on since January 24th; preparations since last year were OK. We have 5 students: the nationalities are St Lucia (Kerima), Jamaica (Denielle) Sweden (Mikael), USA (Taylor & Tessa). It was our prayer to have about 10 students but God choose to send 5 hand picked. We praise God for opening doors to promote the DTS in some churches on the island thus far one Saint Lucian has accepted chalenge of faith this year and we pray God will show her his faithfulness. Merlisha & Nicole are staffing this school along side us : Guy, Marylin & Asaph. We just completed week 4, teachings on intimate friendship with God, hearing God voice, the Cross, and the nature and character of God when on great with speakers Marsha and Wayne from Grenada. This week is the Father heart of God with George and Donna Snow. We are considering outreach in the Dominican Republic or in Nicaragua, and are seeking divine confirmation this week. Thanks for standing with us and the students. The local student came in faith and need your support. Between September and December we had two YWAMSL Board Meetings and had two new persons join our Board increasing the number to 10. We are thankful to God for this increase and hope it will bring in more dynamism. We are trusting Him for two or three more Board Members. For us as staff that we will be refreshed, filled with the Holy Spirit and committed to what God is calling us to do. For a permanent property for YWAM Saint Lucia: at this point we need persons to carry the project with us... please pray for more committed persons to come on board. 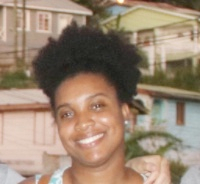 Pray for more partners at different levels to embrace and join the vision of YWAM St. Lucia. God has been sending persons pray for more key persons. Impact World Tour in the Caribbean and in Saint Lucia specifically we are mobilizing to see Saint Lucians go to Kansas City for the training and prepare to welcome the Project in Saint Lucia. Bill Landis the Caribbean Leader will be here in March to meet some key people and promote the project, pray for this important meetings. Our Landlord has increased the rent by EC$200.00 and is refusing to allow us to use a room that is locked away with their stuff which has another bathroom that would make a world of difference to us if it was switched with a room without bathroom(except we are willing to pay EC$ 1300 more). Please praise God for his faithfulness so far in providing and pray for provision to be able to pay the monthly rent and for a bigger and affordable place for YWAM Saint Lucia before the end of the year. 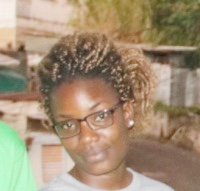 Guy, Marylin & Asaph, Full time Base Leader : Thanks for your continual prayers and support, We greatly value and appreciate your partnership in pioneering this ministry in Saint Lucia. To support the Fotso Family use this link ! 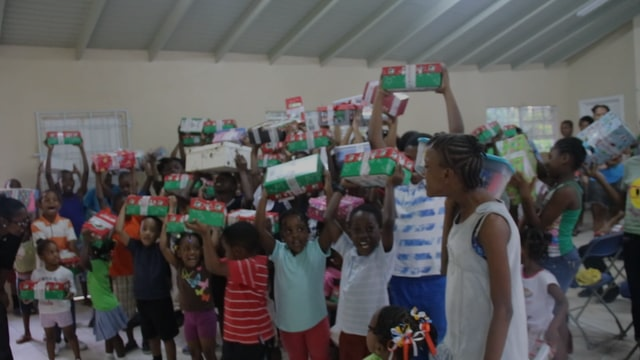 For Online Donation to YWAM Saint Lucia you can Click on this Link! Note: for all USA tax deductible gifts: Check should be made out to YWAM, do not write our names anywhere on the check but enclose a separate note stating that the gift is to the account of Saint Lucia YWAM. You can use one of the above option to support one of our volunteers/staff, for their staff fees or more but please you need to send a note to ywamsaintlucia@gmail.com to let us know what the support is for or contact the staff directly for details.